Cover design by Matt Cowan and Marshall Stevens. Wolf Warriors copyright Thurston Howl Publications. Great news, internet! The anthology I’m in is out! 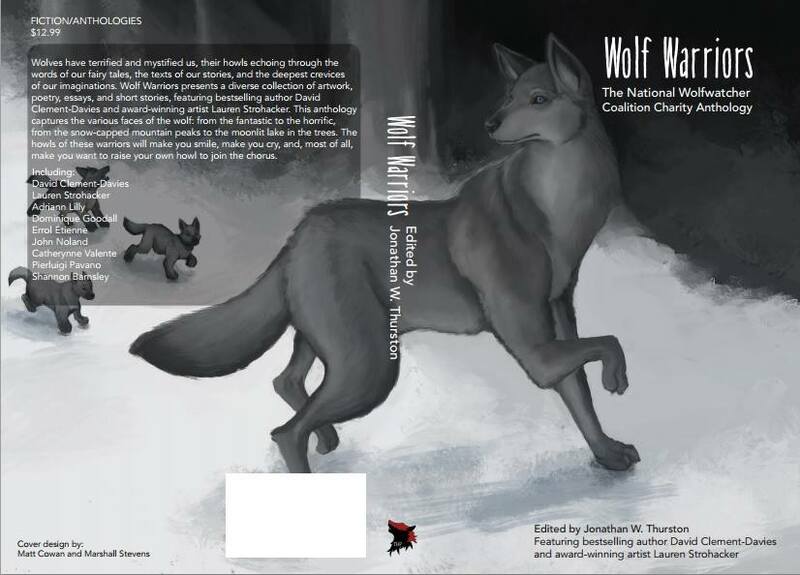 Wolf Warriors: The National Wolfwatcher Coalition Anthology is a wolf-themed charity anthology to raise money for the National Wolfwatcher Coalition, which seeks to educate people about wolves and their importance, as well as advocating for their preservation. The anthology is chock-full of lupine art, fiction, flashfiction, and essays of all genres, so fantasy fans, nature/animal lovers, literary folks, non-fiction people, art enthusiasts, and all manner of readers can all find something to enjoy.